For regularly scheduled eye exams, expect to talk about any changes in your medical history since the last time you saw your eye doctor. And if this is your first time in a new practice, you’ll be asked to provide a more complete medical history, including a list of medications you’re currently taking, and any vision problems your parents may have experienced. If you can print and fill out the Patient History Form before you come to your appointment, it will be much easier and quicker for you and the medical staff assisting you. You can also request to log onto the secure Patient Portal to fill out most of the medical information and keep it updated. In addition, you’ll undergo a series of vision and eye tests that help determine the overall health and quality of your vision. These tests also help to check that your current prescription glasses or contacts (if you have one) is still meeting your vision needs. Your eye doctor will also check your eyes for signs of any potential vision problems or eye diseases. In many instances, your pupil may be dilated (opened) using special drops so that your eye doctor can better see the structures of the eye. Both of our offices offer the Optomap®, an ultra-wide retinal imaging device, which gives the doctor a dilated-view. You will be asked to choose you preference between dilation (which can blur your vision and cause light sensitivity, but is covered by your insurance) or having Optomap® images taken (which do not require any drops or blurring, but have a minimal cost). Most importantly, remember that eye doctors—and everyone within the eyecare practice—are there to help you see your best and feel your best. 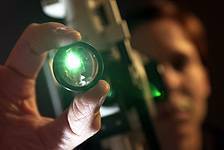 Check out our 20 Point Exam for 20/20 Vision to see what we mean by a "Comprehensive Eye Exam." A dilated-view is essential for a comprehensive eye exam. This can be achieved through dilation drops or the Optomap® Retinal Imaging System. Find out the benefits of each and come prepared. What should you bring to your exam?